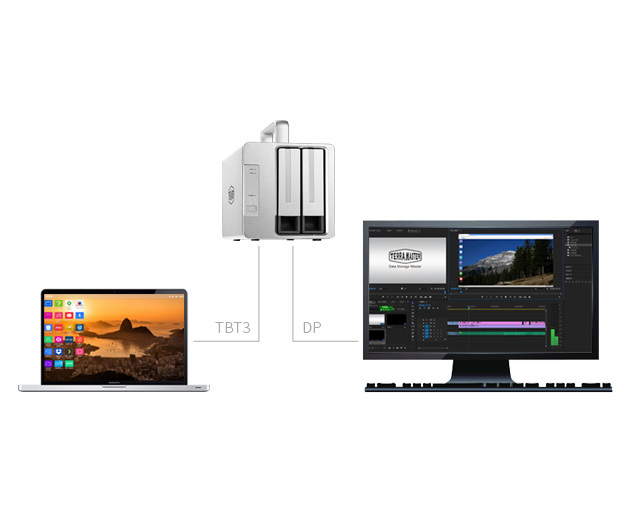 The 2-bay D2 Thunderbolt 3 is compatible with both 3.5" SATA disks and 2.5" SSDs, offering a professional solution to on-the-go storage with a total storage capacity of up to 28TB, which represents around two million HD images or up to 80 hours of 4K video. The D2 Thunderbolt 3 is also equipped with a special handle for additional portability, allowing it to be easily transported for video recording, video copying, and video demos wherever they are needed. 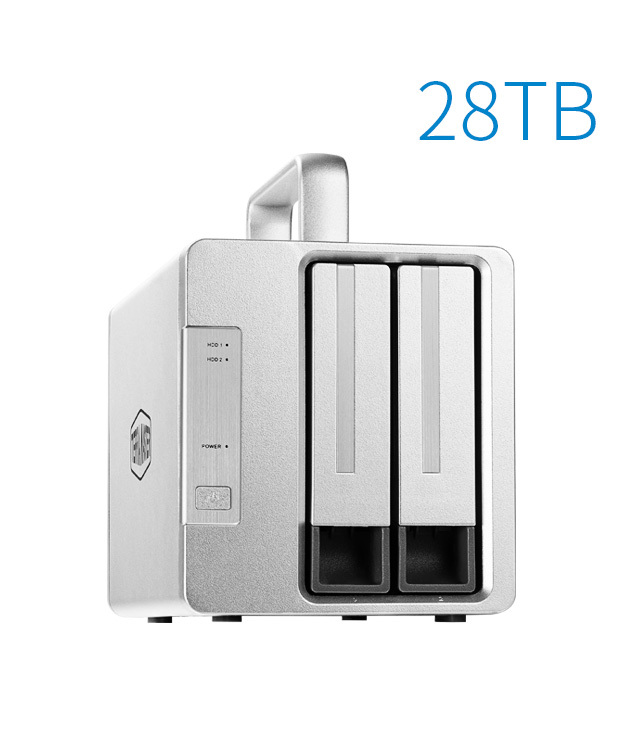 Drawing on a pair of Thunderbolt 3 interfaces (40 Gbps) and a hardware RAID controller, the D2 Thunderbolt 3 can operate at reading speeds of 760 MB/s (SSD x 2, RAID 0). The time needed for virtually every aspect of the post-production workflow falls when using the D2 Thunderbolt 3. 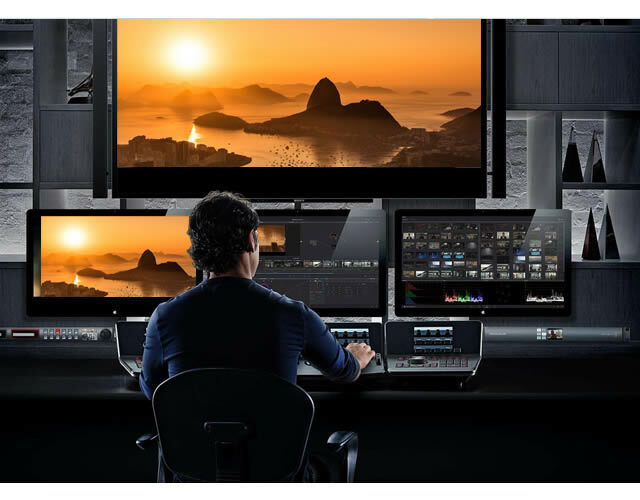 At lightning speed, users can transfer several hours of footage from a Blackmagic® device to Adobe® Premiere Pro. In turn, with uncompressed HD 10-bit and 12-bit video, users can edit the ProRes 422 (HQ), ProRes 4444 XQ, and other data streams. Thumbnails and preview rendering are significantly more responsive when using large items with numerous high-definition clips. Using one cable, Thunderbolt 3 enables users to daisy-chain more than five devices to their computer. 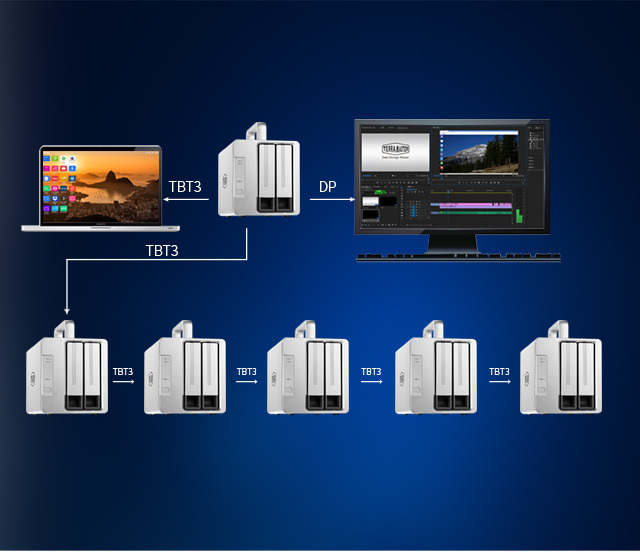 As a result, users can achieve an enormous 168TB capacity by linking together six D2 Thunderbolt 3 devices. If your Mac has Thunderbolt and Thunderbolt 2 ports, you can capitalise on the D2 Thunderbolt 3 to achieve high-end transfer rates. With Apple’s Thunderbolt 3 (USB-C) to Thunderbolt 2 adapter (not sold with the D2 Thunderbolt 3), compatibility between the D2 Thunderbolt 3 and earlier Thunderbolt technologies is straightforwardly achieved. 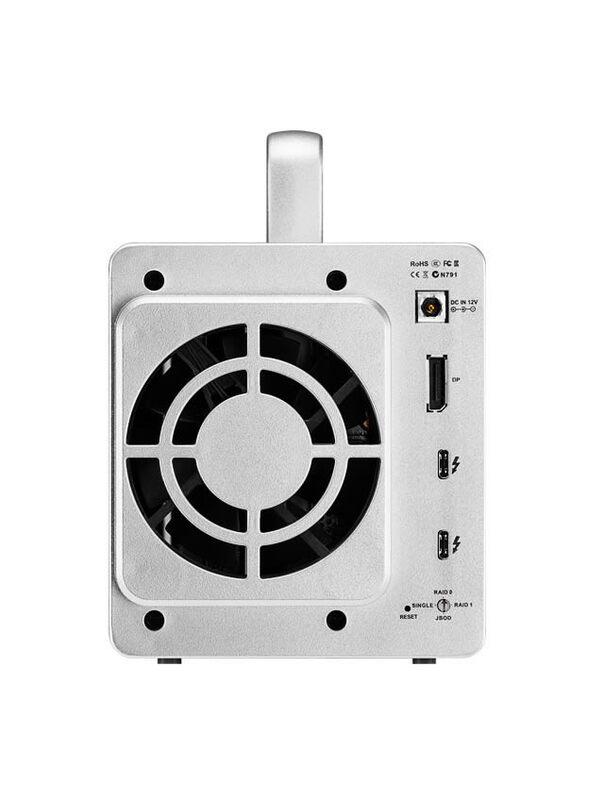 With its aluminium casing, metal casing, and built-in temperature-controlled smart fan, the D2 Thunderbolt ensures full heat dissipation for those video professionals working long hours. 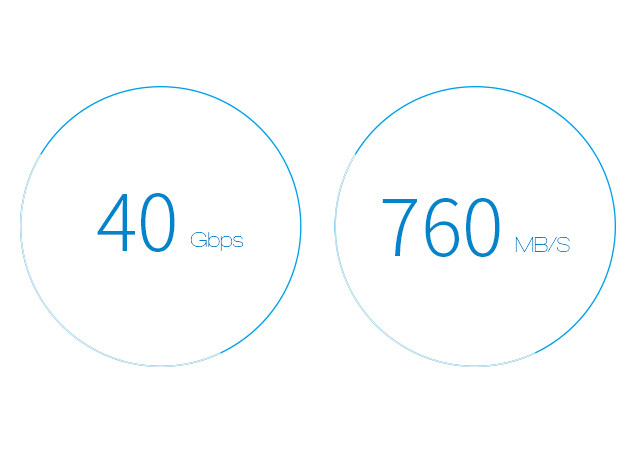 A key feature of Thunderbolt 3 is its bandwidth capacity, which has been doubled since Thunderbolt 2. At the same time, the D2 Thunderbolt 3 benefits from a HD DP digital interface and a pair of Thunderbolt 3 interfaces. By daisy-chaining two 4K displays (or one 5K display) to the D2 Thunderbolt 3, users can augment their workspace in the smartest and most suitable way for their professional needs. 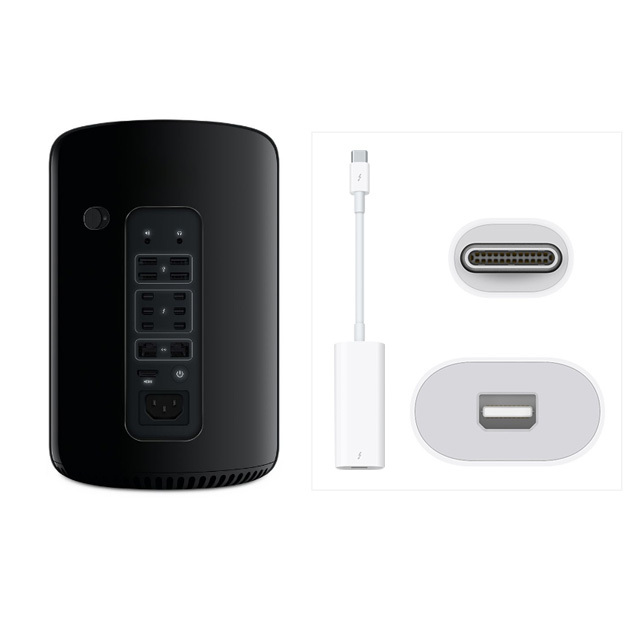 Additionally, using Thunderbolt 3 connections, users can even power a compatible notebook computer. 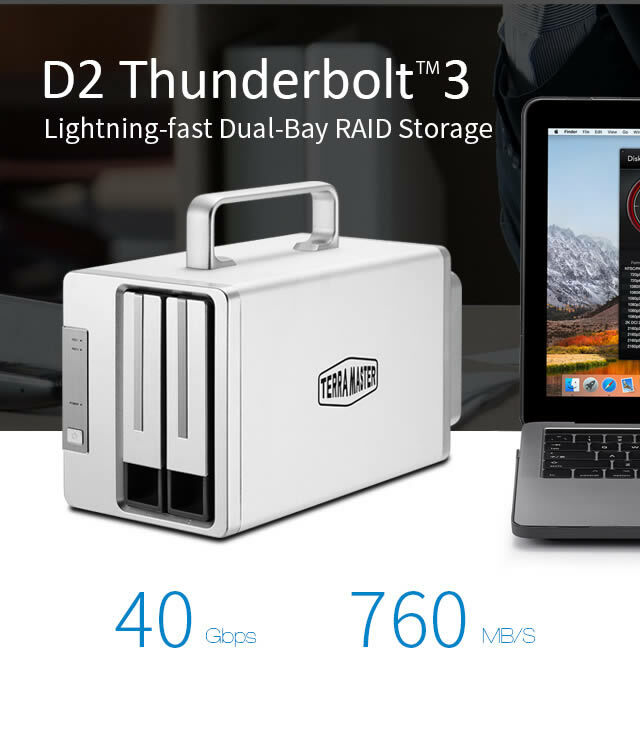 The D2 Thunderbolt 3 operates with RAID 0, 1, and JBOD as well as in single disk array modes for all your application needs. 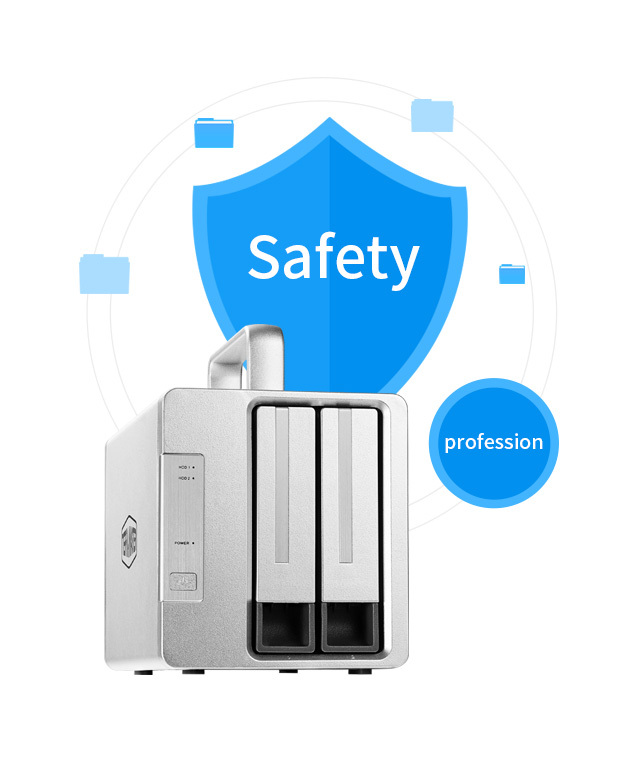 This underpins the all-important concern for guaranteed data security, and it ensures that your storage capacity is utilised in the most efficient way possible. TerraMaster has made no compromises in its use of state-of-the-art storage technologies, ensuring data safety and security. The D2 Thunderbolt 3 supports hot swapping and hot plugging. 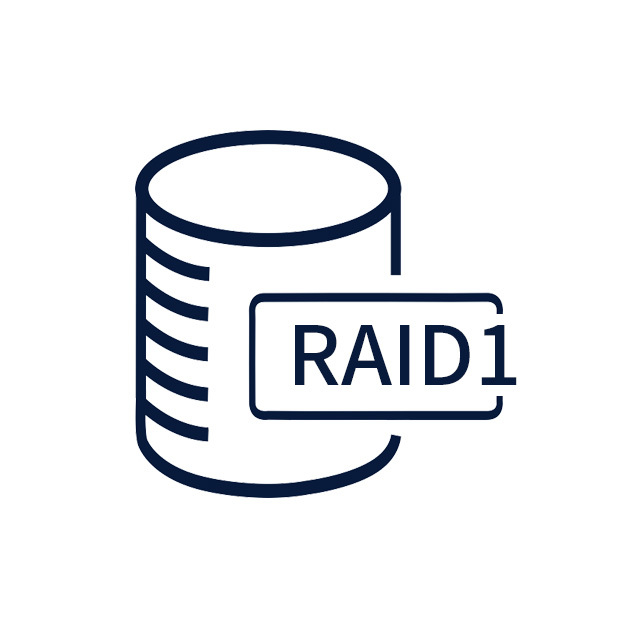 An automatic RAID rebuild and an auto idle mode also prevent concerns about inadequately protected data, allowing users to focus on what matters to them: the images. 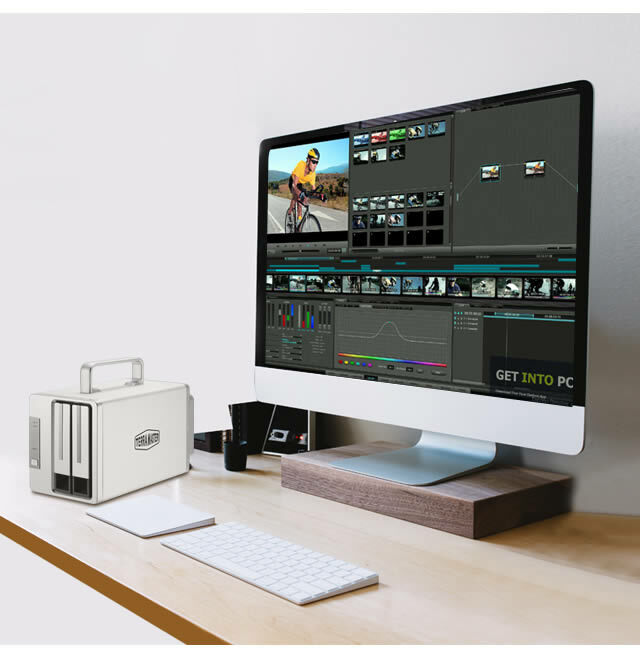 Given its compactness, its large storage capacity, and its lightning speed, the D2 Thunderbolt 3 is ideally suited for the most demanding applications, including 4K video editing, as well as seamless 4K streaming. Other users, especially those with strict speed and storage requirements, will find a valuable partner in this device.